I don’t like reality TV, but I will admit that I thought the fights between the Paul Teutul Sr. and his son, Paul Jr., were the most interesting part of the show. Now that they are involved in litigation over the ownership of the company, I suppose I can take a professional interest. The complex dynamics between the majority shareholder, Paul Sr., and the minority shareholder, Paul Jr., have all the elements of the disputes that have fractured many a family business – conflict over the direction of the business, claims of misconduct and, of course, charged emotions. You will also find something else in this case that is not all that rare – documents that do not clearly explain how the parties are to deal with sensitive issues. The on-air dispute between father and son spawned Teutul v. Teutul, 2010 NY Slip Op 30979U (N.Y. Sup. Ct. Apr. 21, 2010), between father and son. 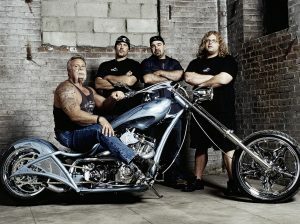 Paul Sr. is the Chief Executive Officer, managing director and majority shareholder of Orange County Choppers Holdings, Inc. (“OCCHI”). Paul Jr. is a director and 20 percent minority shareholder of OCCHI. Paul Jr. came to own the sole minority shares of OCCHI when his father offered him a stake in the business in 2007 and he entered into an employment agreement with the business After various disagreements between the duo, Paul Jr. was terminated from OCCHI in 2008, but maintained his minority stake. Paul Sr. then sought, among other things, to compel Paul Jr. to sell his minority stake in OCCHI under a buyback option in a Letter Agreement entered into by the two shareholders with a fair market valuation according to a process that would be agreed on by the parties. Paul Jr. counterclaimed with allegations of self dealing and corporate waste, breaches of fiduciary duties, and the overall mismanagement of OCCHI. Paul Sr. won the first round as first decided in favor of Paul Sr. in Teutul v. Teutul, supra, by an order stipulating that the option to purchase shares of OCCHI in the Letter Agreement was valid and enforceable. Paul Jr. appealed. The Appellate Division for the Second Judicial Department reversed, holding that the option contained in the letter agreement, by its terms, was not valid or enforceable because the parties, in negotiating the option, failed to create a complete and binding contract since the agreement only stated that the buyout price be determined “. . . by a procedure to be agreed to by the parties as soon as practicable.” Teutul v. Teutul 2010 NY Slip Op 30979U page 3. Although Paul Jr. appears to have survived victoriously, it remains to be seen whether he may find the relief he really wants. Assuming Paul Jr. will seek corporate dissolution, Paul Sr. can attempt to exercise his rights under NY BCL §1118(a) to buyout Paul Jr. For a minority shareholder who has been “oppressed” by the majority, his or her avenue for relief is by exercising their rights under NY BCL §1104a for a judicial dissolution if they can prove illegal oppressive actions or corporate waste or looting. N.Y. Business Corporation Law (“BCL”) Section 1104-a allows for holders of 20% or more of corporate stock to petition for corporate dissolution on the grounds of (1) illegal, fraudulent, or oppressive actions by the directors or those in control of the corporation; or (2) corporate waste or the looting or diversion of corporate assets by the directors or those in control of the corporation. In a dissolution proceeding in N.Y., a court will take into account whether dissolution is the only feasible means for petitioners to reasonably expect a fair return, and whether liquidation is necessary. See NY BCL §1104-a(b). However, for special proceedings brought under §1104 or §1104-a, a dissolution will not be denied simply because the corporation’s business has been, or could be conducted at a profit. See NY BCL §1111(b)(3). When an unhappy shareholder petitions for dissolution, “. . . any other shareholder, or shareholders or the corporation may . . . elect to purchase the shares owned by the petitioners at their fair market value and upon such terms and conditions as may be approved by the court . . . .” NY BCL §1118(a). If an election is made to purchase the shares owned by the dissatisfied shareholder, but there is no agreement as to the fair market value of the shares, the court may stay the proceedings to determine the fair market value as of one day prior to when the petition is filed. NY BCL §Of course, when exercising this right, the minority shareholder should expect to be bought out by the majority, rather than have the corporation dissolved. Whenever a minority shareholder moves under §1104-a, it affords the majority shareholders the absolute right to buyout the minority’s shares at “fair market value” via §1118(a). A court will typically defer to a prior agreement among the parties stipulating a valuation method in the event of an involuntary dissolution. See In re Pace Photographers, Ltd., 71 N.Y.2d 737, 747, 530 N.Y.S. 2d 67 (1988). If this value cannot be agreed on by the parties, then the court will make such a determination. A distressed shareholder in the position of Paul Jr. will be faced with the difficult decision of leaving the fate of his business value in the hands of the court who will choose an appraiser to value his share of the business, or expend more money by continuing litigating any counterclaims that he may have in an attempt to collect damages. Either way, the minority shareholder faces a tough battle.